Written by: admin on November 1, 2013. The importance of literacy is often overlooked because it has almost become second nature to most people of today’s world. 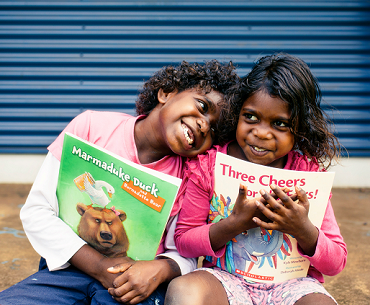 However, the Australian Literacy and Numeracy Foundation (ALNF) is dedicated to raising language, literacy, and numeracy standards in Australia and advocate literacy as a basic human right. Breaking down barriers between health and education with easy-to-use integrated speech pathology practices for the whole class, small groups, and individual children. There is no other comparable program that incorporates both speech pathology and education best practice to address the literacy learning needs of children. Reducing the educational impairments caused by Chronic Otitis Media (OM). OM causes ongoing hearing loss that negatively impacts the development of language and pre-literacy/literacy skills. According to the Australian Bureau of Statistics, the prevalence of Otitis Media within indigenous communities ranges from 40% to 70% compared to only 5% in more advantaged populations around the world. Enabling all children, irrespective of socio-economic or health disadvantage, to have equitable developmental access to formal literacy instruction. ALNF’s Early Language and Literacy Program (EL&L) teaches children through their learning challenges. Accrediting all educators and community members who complete the EL&L (Australian Skills Quality Authority Accredited) Course. Empowering parents and caregivers with skills and confidence to engage in conversations about their own children’s learning needs. ALNF is committed to meeting the needs of the individuals, groups, and communities it serves. Its programs are extremely effective and create lasting change in people’s lives. Kelly and the rest of the ALNF team are motivated by each community’s successes and work hard to raise funds to continue to develop, implement, and sustain innovative literacy programs throughout Australia.